His new album Fresh Air is a soft-yet-groovy dispatch from a dedicated homebody. 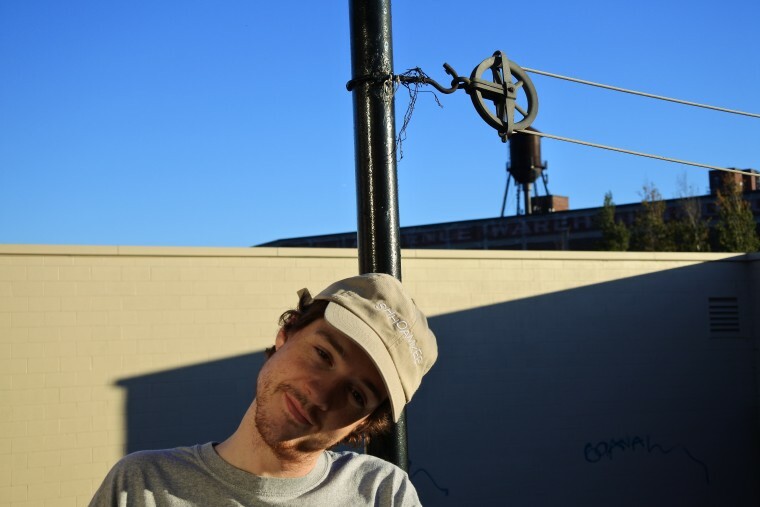 Sagar released his first cassette, The Homeshake Tape, in 2013 when he was still part of Mac DeMarco's touring band. That particular life on the road began to wear on him; he quit and focused on Homeshake full-time, which by then was building a dedicated following for his twinkling and satin-spun R&B. At its best, Homeshake manages to be both as intimate and idiosyncratic as a half-heard secret whispered in your ear. The FADER spoke with the Montreal artist about J Dilla, living politically, and the underside of streaming for artists. Fresh Air is out now via Sinderlyn. 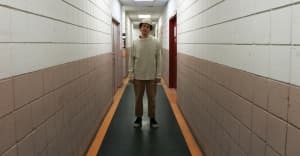 How did the Homeshake project first manifest? When I went to Montreal I shed my previous pseudonyms. I’ve never wanted to make music under my own name for whatever reason, so I picked a new fake name for myself, with the idea that I wouldn’t aim for anything in particular with it. I was working on a few different things under a few different names, and I think that’s stupid. So I just combined everything under a new name and moved on. It definitely has a focus. It does at the moment, but I was thinking the other day, Fresh Air feels like the third part of a trilogy. You make a big splash, then it slows down a little, and [Fresh Air] is it being still. Homeshake isn’t done, though. I’ve still got a bunch of stuff lined up for the next thing. I’m always writing, but it will be different than the last three. It’s too early to tell, though. I’ve got a few instrumentals that I’m working on. I’d like to do an ambient relaxation tape, but I don’t really know how I’d do it. Maybe just turn all my synths on and let them go crazy [laughs]. I have produced some beats for a friend of mine, Young Braised from Vancouver, but I’m not sure when he’s going to release it. I sent him beats over the span of the year, then he came to Montreal and we finished recording in my bare living room in the apartment I’d just moved into after getting bed bugs. Do not get bed bugs, do everything in your power not to get bedbugs. Who are some of your influences, production-wise? J Dilla, he changed the way I thought about music when Donuts finally found me. It changed my perception of what a song is: how long it needs to be, and just the way he used samples and made it like he was actually playing them. Pretty amazing. Some of the musicians you’ve cited as inspirations — Prince, D’Angelo, Curtis Mayfield — have delved into explicitly political work. Your Twitter account is almost exclusively activism, but do you have any plans to bring that into your music? I can’t really see myself writing political lyrics or protest songs, at least right now. I think it takes something really special to be able to pull that off. It’s something I’m in awe of, like in D’Angelo’s Black Messiah album, or Anohni’s Hopelessness. Just these stunning, literal protest songs, I don’t know if I can do that, but I am in favor of using music as a political tool, like the charity single I put out with Alex Calder. I was really happy about that. We’re working on another one, and I’ll keep doing stuff like that. A lot of kids don’t like what I share on Twitter, and get mad at me. But that’s great because I don’t want people who don’t think these are important things to listen to my music, really. When Alex and I posted about our charity on Instagram, someone commented something like “Nobody cares about your politics, bro, just play your tunes.” I looked at his profile and he’s like a Breitbart editor or something. If you’re a white supremacist, I don’t want you here. I don’t want you listening to my music if you can’t feel empathy or get some kind of good vibes from it. Your music is, sonically, about as far away from the chaos of the outside world as you can get. It’s like a window from it. I try to make simple music. Not too much going on in it, calm. It’s therapeutic for me, making it, and a reflection of how I feel when I’m making it, which is the best. Are you listening to any new musicians? I keep forgetting to listen to that because it’s not on the streaming platform I use. Ah, you’re a streaming man. Yeah, what are your thoughts on it? My main problem with those services is that you can listen to anything you want for free, but with ads inserted into it. If you have free Spotify or something, there’s ads inside my record. That makes me sick, honestly. I don’t want to be advertising anything. If you’re using it for free I’d rather you just ripped a copy of the album for free so no one else makes money off of it. But I don’t have a problem with someone listening to my album on Spotify, so long as you’re just hearing it, that’s all that matters.